The super illuminating shades include Bliss, Peroxide, NSFW and Side Piece. Both Bliss & Side Piece are golden & bronzey, while NSFW is more coraly peach and Peroxide is wayyyyyy pink! 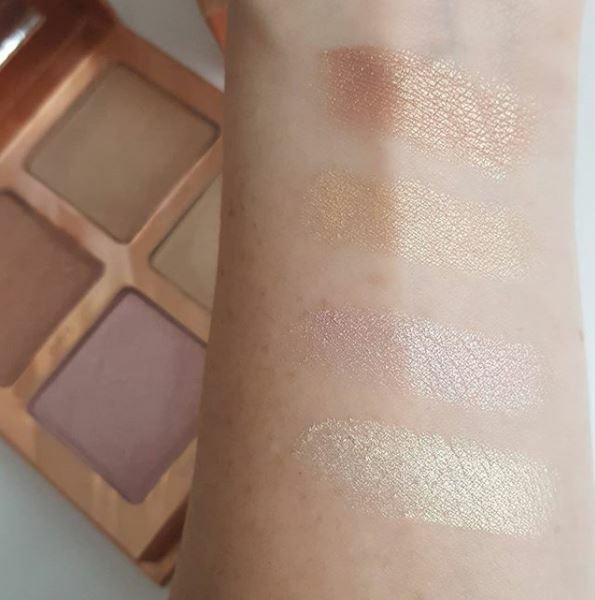 Looking at these swatches we just absolutely love it. This highlighter has such beautiful golden shades, and that shimmer is to die for. Sounds and looks like a good one!